Did you ever think...I’m almost 30 (or 25 or 20) - and I have no clue what I’m doing with my life? Krista and Lindsey felt the same exact way (same). But now, they’re here to help. 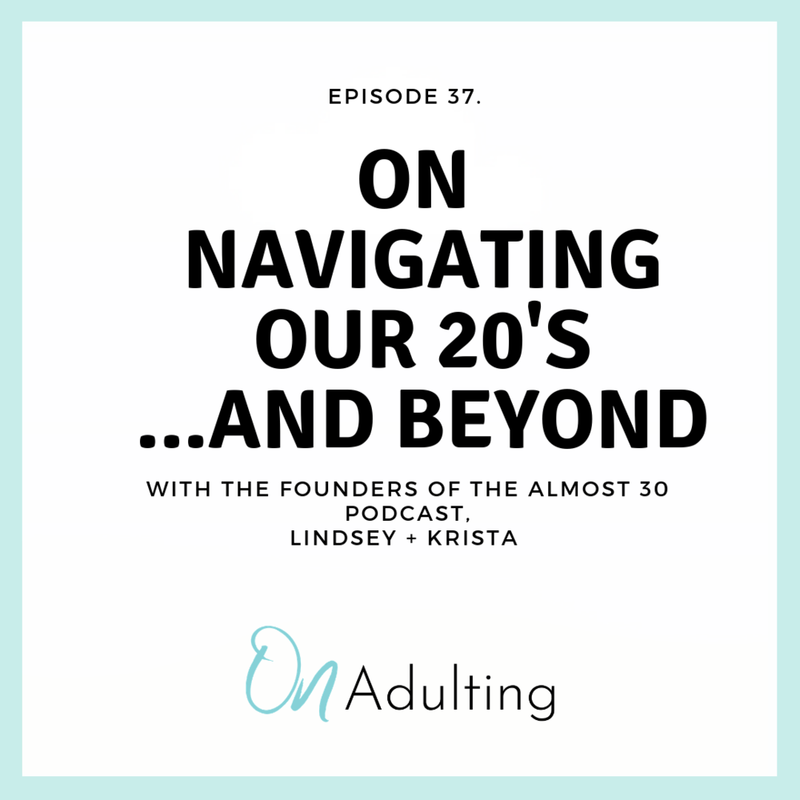 It seems fitting that for the last episode of Challenging the Collective, Season 1, we’re lucky enough to hear from the coolest ladies on the block about Growing Up: Krista Williams and Lindsey Simcik, the founders of the Almost 30 Podcast. Krista and Lindsey have spent the last two years chatting with some of the brightest and most inspiring minds in health, wellness, entrepreneurship, self-development. Their podcast, Almost 30, has been named one of iTunes Top 100 - and they’ve reached hundreds of thousands of women around the world. So, in honor of growing up in a mindful & happy way - let’s all lean in and have a real, raw, unfiltered chat about Growing Up. To connect with Katina about questions, comments, speaker ideas, or sponsorship inquiries please email katina@onadulting.com.